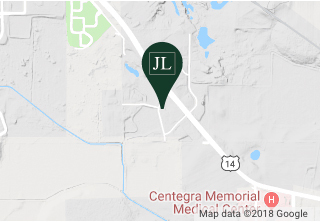 Your Trusted Accountant in Woodstock IL | JL Accounting, Inc.
JL Accounting, Inc. is your trusted accountant in Woodstock, Illinois. JL Accounting, Inc. is a full-service accounting firm serving McHenry county and northern Illinois since 1994. We offer a complete range of services to corporations, sole proprietorships, partnerships, limited liability companies, non-profits and individuals. Taxes are one of the biggest and most confusing burdens for an individual or business. Tax laws are always changing. Let us help minimize your tax liability. Although you hope to never be put through the rigors of a tax audit, we will help ensure the least painful and smoothest audit possible for you and/or your business. Our professional staff can prepare these forms in an accurate and timely manner. We provide this service to businesses to ensure that you can avoid penalties and/or interest. We understand the laws and regulations regarding all types of businesses. Our analysis can help discover strengths and weaknesses that can be addressed. Are you ready? If you’ve been keeping your records in an old shoebox, it’s time to get it out and start categorizing those receipts. You’ll need to make sure you have things like your W-2 forms from your employers, 1099s from companies for any contract work you did, and bank and investment firm statements including interest and dividend income and mortgage interest paid. Bring all your documentation to your tax appointment and we’ll make sense (and cents) of everything for you! Below are a few of the things you should remember to bring. See our complete checklist to get prepared. If you’re still not quite sure about us, check out some of the reasons why hiring a professional may be the right thing for you. You’ll want to be prepared for your upcoming appointment! Read through our checklist to make sure you have everything you need. At JL Accounting, we have over 60 years of combined experience in all areas of tax and accounting practices. Whatever the complexity, our firm has the knowledge and skills to support your needs.